Kremlin, on 30 December issued a strict warning after US expelled 35 Russian diplomats and imposed other sanctions on Russia over the hacking of US political parties' websites and email accounts before 2016 presidential elections. "I cannot say now what the response will be, although, as we know, there is no alternative here to the principle of reciprocity," said Russian presidential spokesman Dmitry Peskov in a statement late Thursday reported by the Interfax news service. According to Washington Post, he added that Russian President Vladimir Putin would decide the exact response. Russian reaction would cause the US "significant discomfort", however, Russia may wait until Donald Trump becomes president, BBC quoted President Vladimir Putin's spokesman. President Barack Obama on 29 December imposed sanctions on Russian officials and intelligence services in retaliation for Russia's interference in the US presidential election by hacking American political sites and email accounts. The State Department also has kicked out 35 Russian diplomats from its embassy in Washington and consulate in San Francisco, giving them and their families 72 hours to leave the US. The diplomats were declared persona non grata for acting in a "manner inconsistent with their diplomatic status." 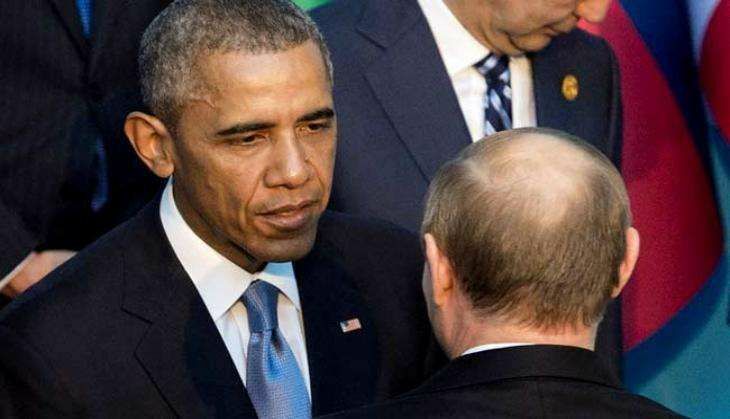 Russian officials have denied the Obama administration's accusation that the Russian government was trying to influence the US presidential election. US intelligence agencies concluded that Russia's goal was to help Donald Trump win, an assessment Trump has dismissed as ridiculous.